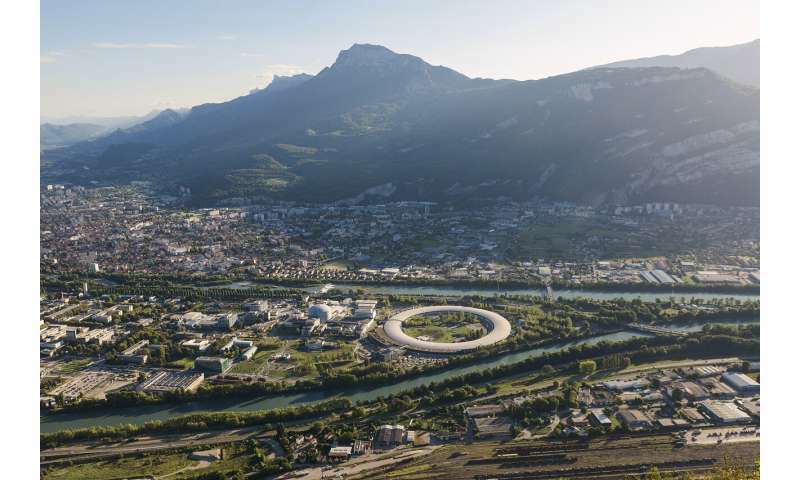 An international research team led by physicists from the University of Cologne has implemented a new variant of the basic double-slit experiment using resonant inelastic X-ray scattering at the European Synchrotron ESRF in Grenoble. This new variant offers a deeper understanding of the electronic structure of solids. Writing in Science Advances, the research group have now presented their results in a study titled "Resonant inelastic X-ray incarnation of Young's double-slit experiment." The double-slit experiment is of fundamental importance in physics. More than 200 years ago, Thomas Young diffracted light at two adjacent slits, thus generating interference patterns (images based on superposition) behind this double slit. Thus, he demonstrated the wave nature of light. In the 20th century, scientists have shown that electrons or molecules scattered on a double slit show the same interference pattern, which contradicts the classical expectation of particle behaviour, but can be explained in quantum-mechanical wave-particle dualism. 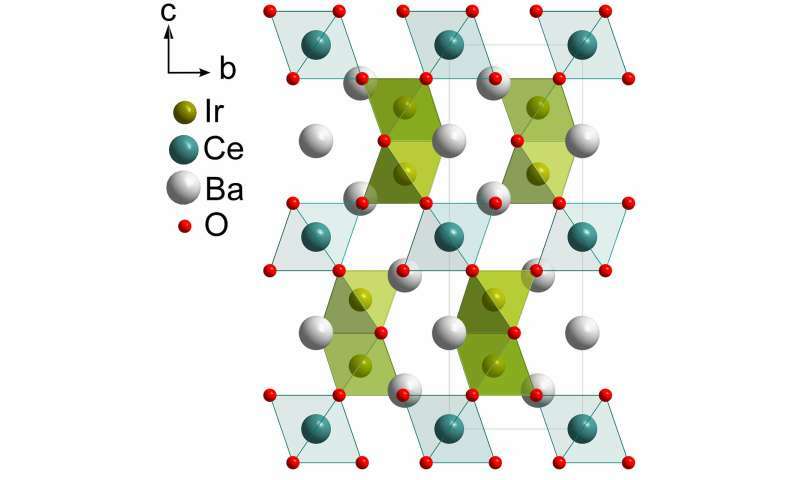 In contrast, the researchers in Cologne investigated an iridium oxide crystal (Ba3CeIr2O9) by means of resonant inelastic X-ray scattering (RIXS). The crystal is irradiated with strongly collimated, high-energy X-ray photons. The X-rays are scattered by the iridium atoms in the crystal, which take over the role of the slits in Young's classical experiment. Due to the rapid technical development of RIXS and a skilful choice of crystal structure, the physicists were observed the scattering on two adjacent iridium atoms, a so-called dimer. "The interference pattern tells us a lot about the scattering object, the dimer double slit," says Professor Markus Grueninger, who heads the research group at the University of Cologne. 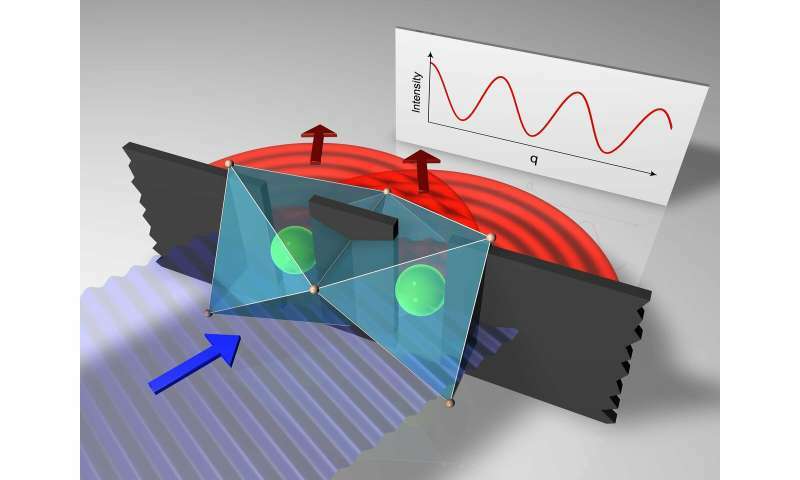 In contrast to the classical double-slit experiment, the inelastically scattered X-ray photons provide information about the excited states of the dimer, in particular their symmetry, and thus about the dynamic physical properties of the solid. "With our RIXS experiment, we were able to prove a fundamental theoretical prediction from 1994. This opens a new door for a whole series of further experiments that will allow us to gain a deeper understanding of the properties and functionalities of solids," says Grueninger. yah, yah,right, good thing you're here..
How is any of this counter-intuitive? Are we not trolling the confused..? I call this Newtonian physics. Can I have that in English, please? I have no idea what "the physicists were observed" means in this context. If you said the physicists were observed smoking heroin, that might have meaning; but the physicists were not observed being iridium atoms. Now DS. how will you prove that those specific scientists were NOT iridium atoms? & whether or not they were... How would that effect or even affect the described experiments? The researcher's iridium atoms were entangled at some quantum level with the iridium atoms being observed & evaluated? Any possibility That last night's super full howling crimson moon had any effect &/or affect on my thinking? Or, am I getting entangled in mondegreens? The sheer quantity of new phenomena is staggering and will affect philosophy, theology and secular science for much of the first half of this entire new millennium. Only one thing seems to stand out, to me - that we are unlikely to travel to other star systems before 3000 AD, though we will become much more conscious that this star system, our Solar System, is our - Earth's, and mankind's, sovereign domain. Absolutely. Now we can integrate and unify the entire world's histories, the development of civilization on this precious little blue planet.